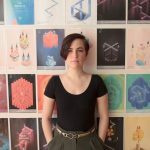 Lauren Cason is a Senior Artist at ustwo games, recently launching Monument Valley 2. She has worked on a variety of projects, ranging from indie iPhone games to experimental VR to giant MMO’s, at studios including MIT’s Game Lab, Funomena, Dim Bulb, and Harmonix . Her volunteer work includes time spent making games with incarcerated youth, as well as mentoring with the Intel® Computer Clubhouse.